On Thursday - October 11, 2018, Chinese tech giant OPPO Mobile officially announced its own performance acceleration engine for smartphones simply called "Hyper Boost". I believe this innovation should work a lot like Huawei's GPU Turbo but - of course - OPPO developed Hyper Boost using their own technology and expertise. 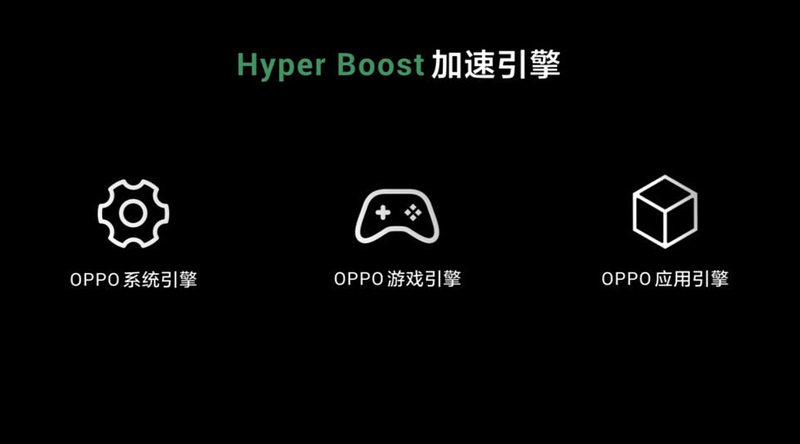 In fact, Hyper Boost is made to improve not just the gaming performance of OPPO smartphones but also the way they run system services and other applications. For the gaming engine, OPPO partnered with Tencent, Netease, and other major game developers to optimize performance for the top 100 games for the Android platform. As of writing, the company has adapted 11 popular games to work with Hyper Boost. For system engine, Hyper Boost introduces the behavior-aware scheduling (BAS) solution that dynamically tunes the underlying hardware in units of 0.2 milliseconds through the newly designed Linux task scheduler. Simply put, it optimizes hardware performance based on what the user is doing on the device. And finally, for application engine, OPPO is working closely with the developers of popular apps like WeChat to make the overall performance of their applications faster across the board on OPPO phones with Hyper Boost. In the future, OPPO intends to incorporate some aspects of artificial intelligence to level-up the capabilities of Hyper Boost. This includes learning analysis and automatic adaptation, which will definitely make the optimization process even smarter.